Product prices and availability are accurate as of 2019-04-21 05:10:06 UTC and are subject to change. Any price and availability information displayed on http://www.amazon.com/ at the time of purchase will apply to the purchase of this product. Doing it all is a little easier when you have the right support--and that includes nutritional support. 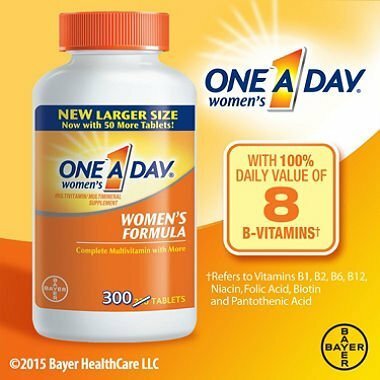 That's why One A Day Women's Multivitamin/Multimineral Supplement is a complete multivitamin formulated with leading health concerns of women in mind such as key nutrients to support bone health, plus 100% of all eight B-vitamins+, which help convert food to energy. * +Refers to Daily Values for vitamins B1, B2, B6, B12, niacin, folic acid, biotin and pantothenic acid.